Coming to Fiji and need accommodation? Find out here what the picks of the Nadi resorts are. Also included are hotels for those on layovers. This is viable accommodation in the 'Nadi area' which can broken down into 3 areas. Nadi is your hub point in Fiji. 95% of international flights come into Nadi International Airport, so you'll be coming through Nadi twice, whether you like it or not! However, Nadi isn't the place you see on the postcards. People are usually passing through, so it isn't surprising that the Nadi area has a focus on budget accommodation and hotels and not on resorts. 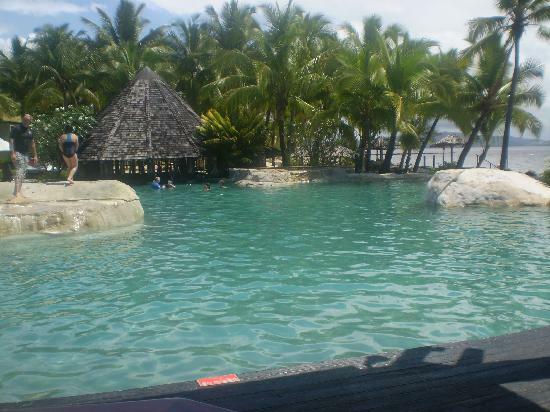 If you are passing through or just prefer hotels rather than resorts, then head to our Hotels in Nadi Fiji section. This may seem like a letdown but there are no nice resorts in Nadi itself. One reason is that there are no nice beaches in the area for resorts to take advantage of. Although Denarau manages to get around that issue. if you are on holidays/vacation - Denarau Island is your choice. 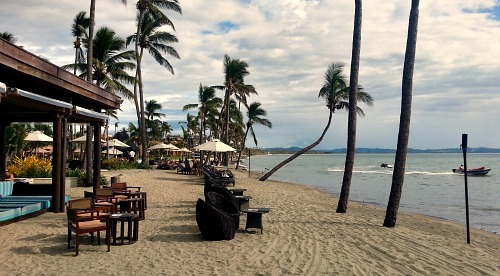 Otherwise, stay elsewhere in Fiji as there are much nicer scenery and much better beaches. Check out our hub Fiji Resorts section for recommendations. if passing through/layover/stopover - stay at a hotel or resort hotel. 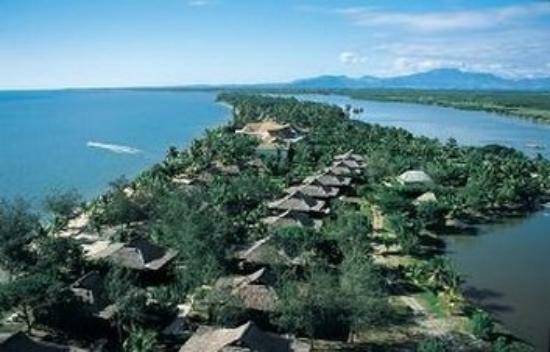 There are plenty to choose from, visit the Hotels in Nadi Fiji section. Denarau Island is a private upmarket island (just a short bridge from the mainland) and is just 20 minutes from Nadi international airport. If you're looking for luxurious pampering and got cash to burn, Denarau is the place. Denarau's rise to popularity has to do with the convenience factor going along with 'more luxury per square inch in Fiji' factor that it brings. For Denarau accomodation, visit our Denarau Fiji page. 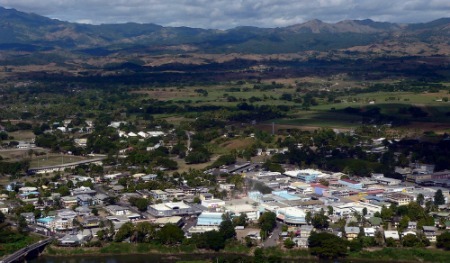 Just 33km north of Nadi, you will find Fiji's second largest town, Lautoka. Quite easy to get to. There are some nice accommodation options, and they are found in our Rakiraki & Lautoka Hotel Fiji section. There's just one mid-range to top-end resort south of Denara and Nadi, before you start hitting the Coral Coast with the behemoth Intercontinental Fiji Golf Resort & Spa. Just 12km south-west of Nadi, you get to Naisala island. Similar to Denarau, it's built on mangroves with grey sand. Sonaisala Island Resort - This upmarket resort has 123 rooms and bures, and is set on the 105-acre Naisala Island 300m off the mainland. Access is via a 25-minute drive then a 3-minute boat ride. Sonaisala gets mixed reviews from outstanding and paradise to absolutely terrible. It would be worthwhile reading the reviews before booking.